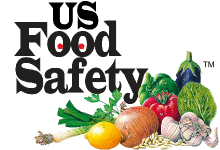 The US Food Safety logo and USFoodSafetySchool.com are trademarks of US Food Safety Corporation. Prometric and the Prometric logo are registered trademarks of Prometric Inc., in the United States Patent and Trademark Office and may be trademarks or registered trademarks in other jurisdictions. ServSafe is a registered trademark of the National Restaurant Association Educational Foundation, used under license by National Restaurant Solutions, LLC. The logo appearing next to ServSafe is a trademark of the National Restaurant Association. All other product names, brand names, trade names, and logos that may be mentioned within this Web site may be trademarks, registered trademarks or service marks of their respective owners.